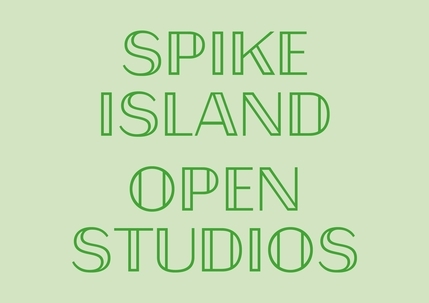 As part of Spike Island’s Open Studios, we at SPS are holding a number of exciting events which will also help us fundraise for the studio. 2016 is our 40th year anniversary and we urgently need to upgrade a range of well used screen printing and etching equipment. New and upgraded equipment is vital to our ability to help people make and produce exciting, cutting edge and creative prints. £40K will do the trick! You can find out more about fundraising for the studio here. Georgina Hounsome (SI Director) and Charlotte Biszewski (Member Technician) will produce two limited editioned prints using the fabulous Vandercook press. They will print the final colour at the set times above and these will be available to buy on the day. Prices TBA. Peter was the co-founder of Spike Print Studio and Spike Island Artspace and in 2007 we hosted A Backward Glance’ – a major retrospective of his work. At the time, he made these small, exquisite prints especially for Spike Print Studio and we have 70 left. These will be on sale at Open Studios and all proceeds from their sales go directly to fundraising for equipment upgrades. We have kept them at their original price of £35 as Peter firmly believed that good art should be accessible for everyone. Emma has generously donated a print to the studio. Night Summit is made from a recent voyage Emma made to Svalbard in the High Arctic. The intaglio print is published by SPS and expertly editioned by Gilly Thompson All proceeds will go towards development of the studio. Enquiries to info@spikeprintstudio.org or call 0117 929 0135.